"The Shrine of Fire, a precious jewel and the energy source of Adrion that equals the power of a thousand suns, has been stolen. The city of Adrion cannot survive without it and King Adronor believes it’s now in the Kingdom of Friss, the enemy of Adrion. He orders his men to retrieve it at all costs, where apprentice Isis and her master Mentor find themselves entangled in a dangerous quest to protect humanity. 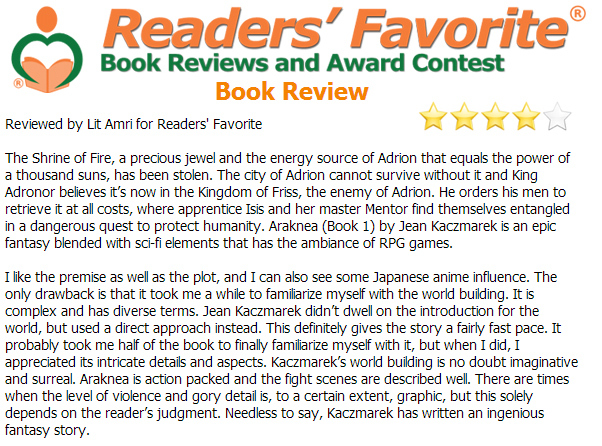 Araknea (Book 1) by Jean Kaczmarek is an epic fantasy blended with sci-fi elements that has the ambiance of RPG games. 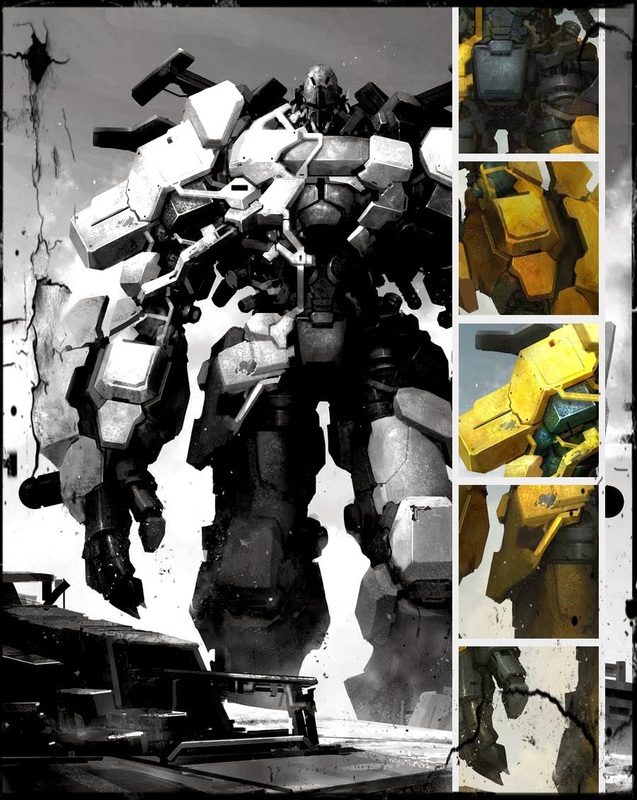 I like the premise as well as the plot, and I can also see some Japanese anime influence. The only drawback is that it took me a while to familiarize myself with the world building. It is complex and has diverse terms. Jean Kaczmarek didn’t dwell on the introduction for the world, but used a direct approach instead. This definitely gives the story a fairly fast pace. It probably took me half of the book to finally familiarize myself with it, but when I did, I appreciated its intricate details and aspects. Kaczmarek’s world building is no doubt imaginative and surreal. Araknea is action packed and the fight scenes are described well. There are times when the level of violence and gory detail is, to a certain extent, graphic, but this solely depends on the reader’s judgment. Needless to say, Kaczmarek has written an ingenious fantasy story. - Reviewed by Lit Amri for Readers' Favorite"